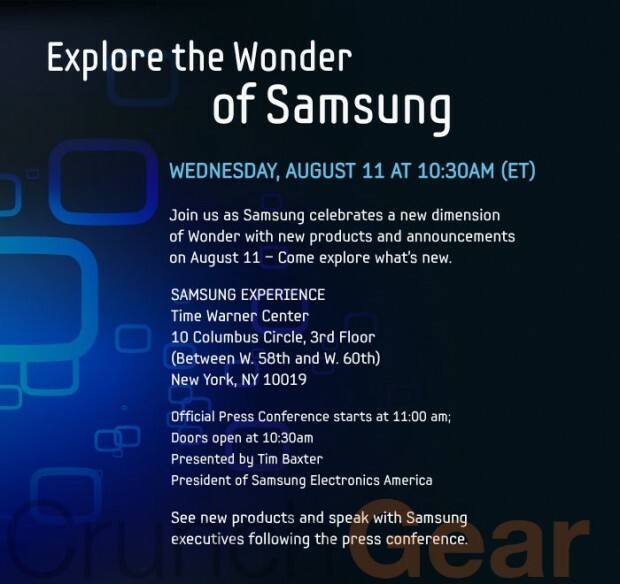 Samsung's Tablet: Android, 7-inch screen, August 11th announcement? 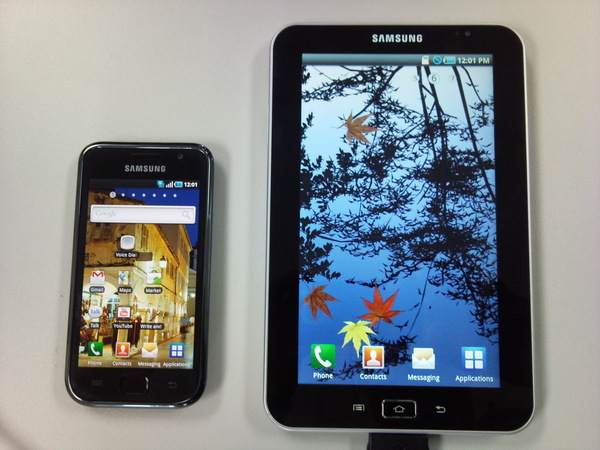 Samsung has a real chance of being a player in the tablet game. From what we’ve heard so far, their offering will be basically a larger version of the Galaxy S cell phone, called the Galaxy Tab. It will run Android, presumable 2.2, on a 7-inch screen. There might even be a phone function, something the iPad lacks. A Reuters report published today echoes pretty much all of that but notes that Samsung is shooting for a Q3 release. Interestingly enough, shortly after that report hit, I got a fancy invite to some big Samsung event scheduled for August 11. Imagine that. Notice that Tim Baxter, President of Samsung America is speaking and there will be an opportunity to “see new products.” It’s not that much of a stretch to think that the Samsung tablet will be announced at this event. That will give the press a couple of months to build-up the device before it launches at the beginning of the Christmas spending spree. It will also give developers some time to jump on the Android tablet bandwagon and tweak their apps for the device. Or I could be totally wrong and Samsung will show off some random 3D TV or clock radio. We’ll find out on the 11th.